If you record multiple enterprises in your database, you can create a combined plan for the whole business while still being able to analyse the cash performance of each enterprise. How do I build a combined plan? 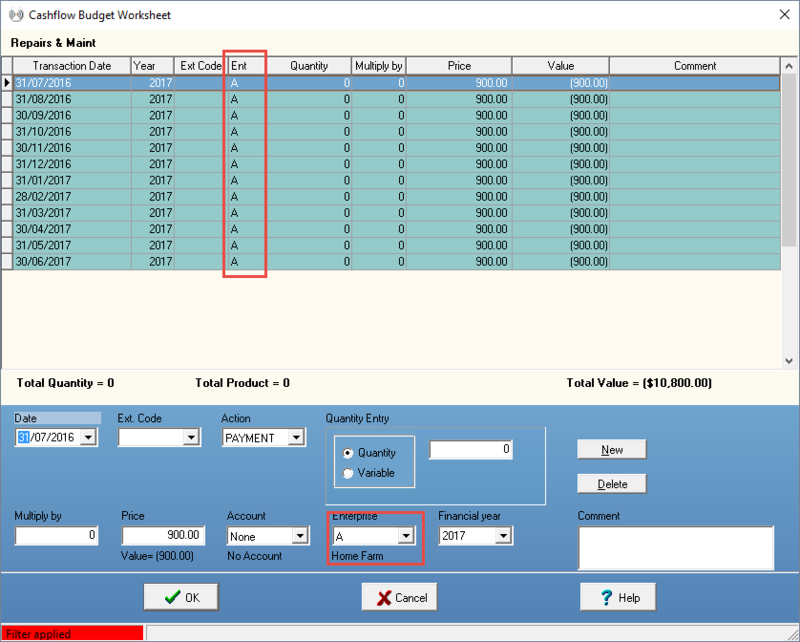 In the cashflow screen, follow our recommended process to create a budget. Once the plan has been created, you can start to build the budget items within it. The easiest and most efficient way is to focus on each enterprise individually. Click on the Filter button at the top of the cashflow screen. Select the enterprise you want to focus on. If each enterprise has its own bank account, you should filter for it at the same time to ensure that cash reporting is correct. Now you can build the plan for each enterprise, one at a time while retaining the integrity of the combined business budget. Speed up the process by using timesaving tools such as repeat and spread. 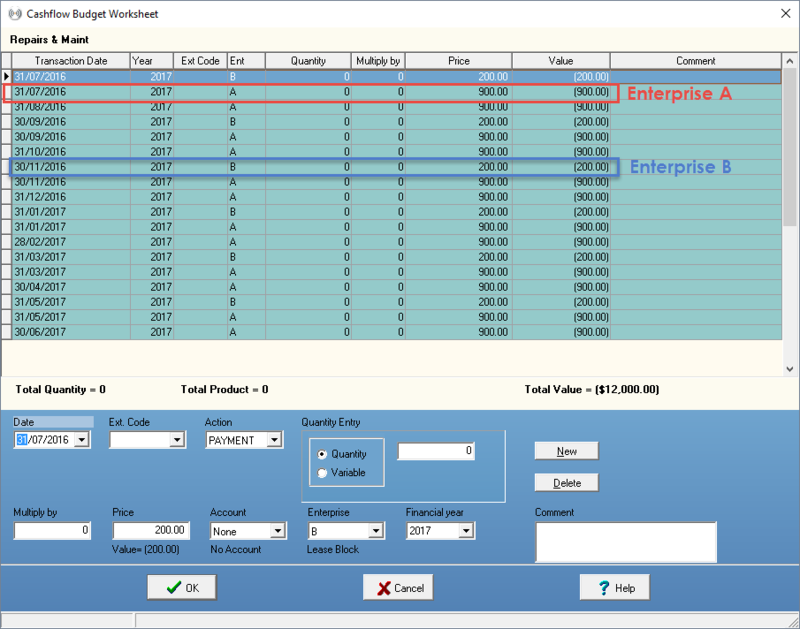 Once you have completed the budget for one enterprise, follow steps 1 - 3 to select the next enterprise. When all enterprises have been accounted for Clear the Filter to give you a plan combining all enterprises .